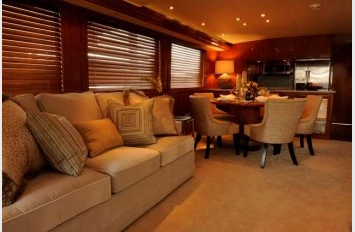 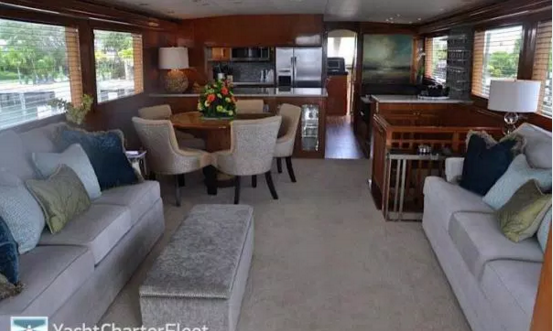 The salon is an openly designed with the lounge area complete withe soft furnishings, occasional chairs and a 42’’ pop up TV with entertainment system.The formal dining space looks onto the open galley. 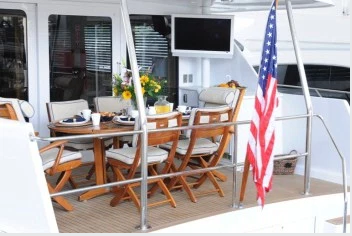 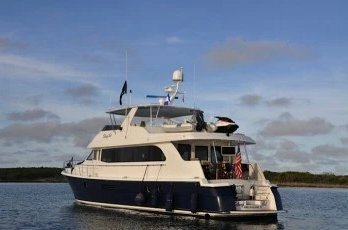 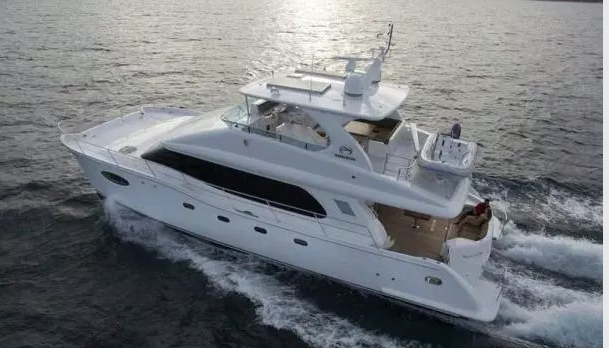 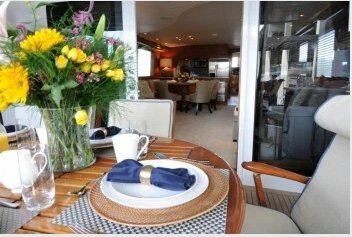 The deck is shaded with an alfresco dining option, and the flybridge is ideal for entertaining with ample seating both on port and starboard plus a full wet bar. 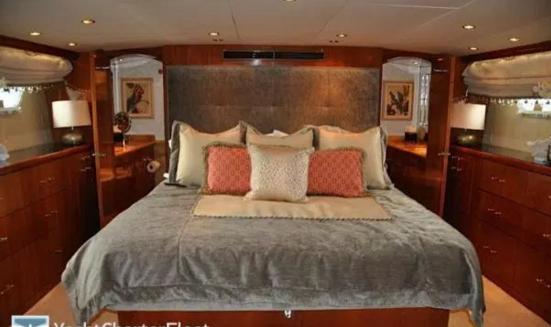 The Master suite includes a king size bed, full entertainment system and his and hers facilities, while VIP cabins and guest cabin each have queen size beds and en-suite facilities. 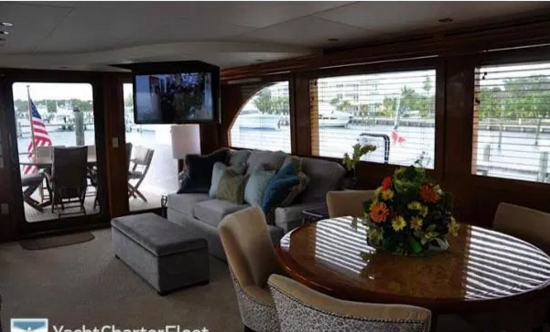 The main salon has a 42′ Wide-screen TV in a custom raised panel cabinet with a lift which can be viewed in the up or down position. 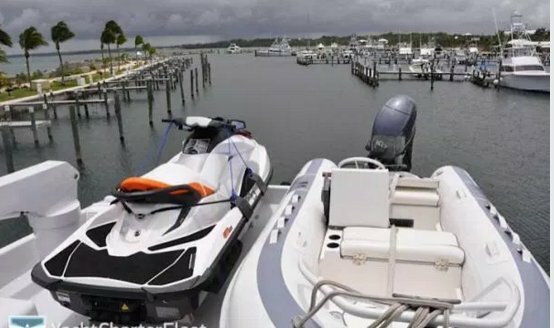 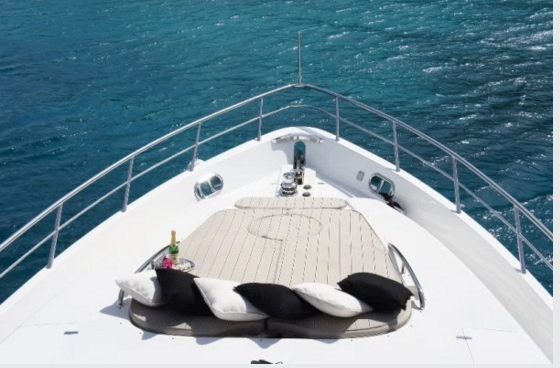 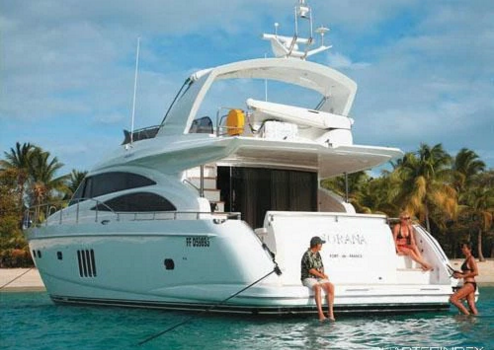 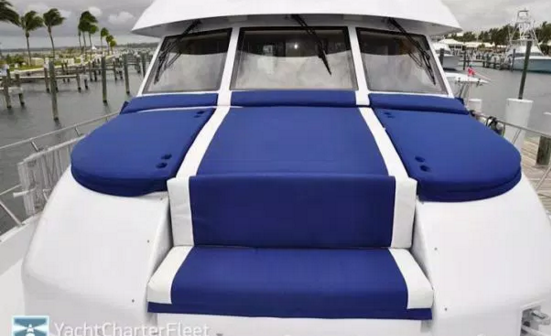 This luxury power Cat will cater to your every need! 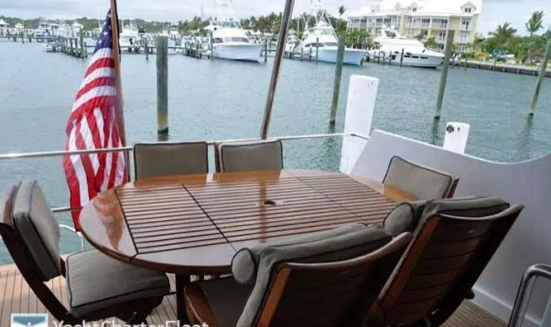 Ideal for socializing and entertaining family and friends!